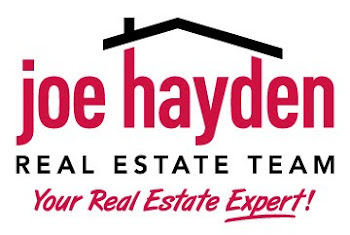 The Great Bed Race & Parade Preview Party | Louisville Real Estate with the Joe Hayden Real Estate Team - Your Real Estate Experts! If you're getting into the swing of all things Derby, be sure to check out two popular events coming next week! The Great Bed Race will be taking place on Monday, April 29th and the Derby Parade Preview Party will take place the following day, Tuesday, April 30th! The Great Bed Race features thousands of enthusiasts gathering together, building a bed on wheels, decorating it, dressing in ridiculous costumes and then racing! There are more than 40 teams and local news channels cover the exciting and entertaining event! Awards are given out for the fastest course times for 1st, 2nd and 3rd place, best decoration and entertainment, people's choice award plus more! 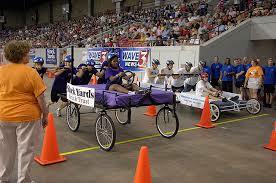 To learn more about this fan favorite event, please visit The Great Bed Race! Another beloved event of the Kentucky Derby Festival is the Derby Parade Preview Party. This event takes place at the Kentucky Exposition Center in the North Wing. The event promises to explode with larger-than-life animation! Each float and inflatable that will be featured in the parade will be there, complete with dancing costumed characters! To learn more about this event, please visit Derby Parade Preview Party! To find more events in the area, please visit Louisville Area Homes for Sale.